The aroma, colour, taste and texture of the astonishing varieties of spices in India nourish a rich variety of cuisines and cultures. India is known for its rich spices and bold flavours. The country holds a prominent position in the world for spice production, offering over 2000 range of spices, including a blend of whole, chopped, grounded, roasted and seasoning spices. According, to a latest data unveiled by the Spice Board India, the country’s spice production is about 3.2 million tonnes and is valued at approximately US$ 4 billion. Because of the varying climates - from tropical to sub-tropical to temperate-almost all spices grow splendidly in India. 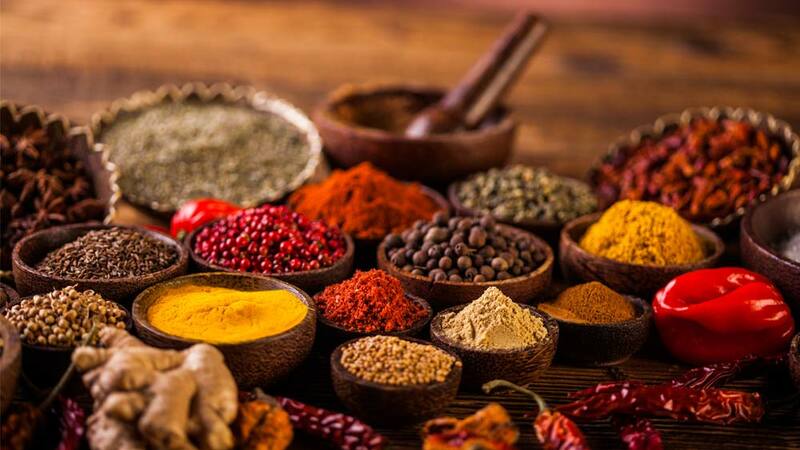 Significantly, almost all the states and union territories of India grow spices. Under the act of Parliament, a total of 52 spices are brought under the purview of Spices Board. However, 109 spices are notified in the ISO list. Major brands like Catch Spices, Everest Spices and Ajinomoto India have set a mark in taking Indian spice route to the global level. Catch, which started with catch sprinklers in 1987, has introduced the kitchen ranges in 2000. And now the brand offers largest range of spices across India. Ajinomoto India, which is one of the largest manufacturer and importer of mono sodium glutamate, a unique flavour enhancer, has been used by the restaurants and leading food industries. Interestingly, Everest Spices, which has been serving delicious flavours to Indian consumers for over 45 years, claim that over 20 million households regularly use their product, available in about 400,000 outlets in more than 1000 small and big towns of India. “We have grown in the spices space, the branded spices market where we did a lot of investment in media and consumer awareness. But, the transformation happened, when we launched the entire range of kitchen spices and became popular with the sprinklers. And now catch offers largest range of spices across India. We have blended whole spices and normal spices, which even the national brands don’t have”, says, Amit Shukla, General Manager-Institutional Sales, D S Spiceco. According to a data released by the Spice Board Indian, spices exports have been able to record strident gains in both volume and value. The spices exports have registered substantial growth during the last five years, with a compound annual growth rate (CAGR) of 21 per cent in value and 12 per cent in volume and India commands a formidable position in the World Spice Trade. During 2013-14, a total of 8,17,250 tons of spices and spice products valued Rs13,735.39 crore (US$2267.67 Million) has been exported from the country as against 7,26,613 tons valued Rs12,112.76 crore (US$ 2212.13 Million) in 2012-13, marking an increase of 12 per cent in volume and 13 per cent in terms of rupees and 3 per cent in dollar terms of value. The total export of Spices during 2013-14 has exceeded the target in terms of quantity and value. Compared to the target of 6,24,700 tons valued Rs10,394.00 crore (US$1825 million) for the financial year 2013-14, the achievement is 131 per cent in terms of quantity and 132 per cent in rupee and 124 per cent dollar terms of value. Still, the country has to import some specific spices, and even the import has increased to 481.86 in 2013-14, which was 232.33 in 2009-10. Masalas are used by mixing and blending a number of pure spices and sometimes in its original form. Blending a spice is both, a science and an art. It follows certain process and technique and it has to meet certain demand of taste preferences, to cater to the customer of different regions. Suppliers and manufacturers in the spice space are using unique technology to easily blend these spices that fulfil the requirement of Indian food industry with desired flavour, aroma and colour. Significantly, Catch Spices is using Low Technology Grinding (LTG) to blend high quality spices at its unit. “We have chilled water running around the grinders keeping the temperature low and retaining all the essentials in the spices,” says Shukla. Brands like Everest and Catch is targeting all groups and classes of the society. From a local end user, to a restaurant and luxury hotel chain, all are their target consumers. On the other hand, Ajinomoto India, which has been accredited from Thailand and Indian cuisine department to import world class flavours enhancer, caters to the restaurants, food industry and seasoning producers in particular segment. “Our main target is restaurant and hotel chains in the country. We have signed deal with the distributors across cities to supply our products in local markets,” shares Devanath, GM, Ajinomoto India. On the basis of the facts, figures and comments of various market experts, we can say that Indian spice industry is growing with challenges to have consistency in the product. And it is the complex blending of its spices, which differentiate the Indian cuisines from others. Burger King bets high on Indian market..